Rajasthan BSTC Exam Answer key 2015, Solved Question Paper, Result date: Rajasthan BSTC examination held on 19th April 2015 (2-5 PM) at various examination centers of Rajasthan. 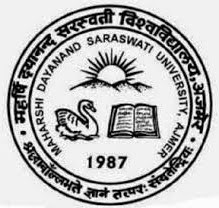 MDSU (Maharshi Dayanand Saraswati University), Ajmer conducted the exam of Rajasthan BSTC (Basic School Teaching Course) for BSTC sanskrit and general exam 2015. Now all students are waiting for their Rajasthan BSTC exam General / Sanskrit answer key 2015. Official website of BSTC 2015 is www.bstc2015.org which will declare the result in May 2015. We are providing BSTC Exam 2015 Answer key, Full Solved Question Paper with Answers based on memory and feedback of various candidates appeared in examination across India. Q.1 National Research Centre (Sarso anusandhan kendra) is situated in which city ? Q.2 Chokla is Breed or Nasl of which animal ? Q.3 Maharana Pratap died in year ? Q.4 Highest Jeera / Jira is produced in which district of Rajasthan? Q.5 Shree Cement plant is situated in which city ? Q.6 Maharana partap was born at ?